Orthodontic treatment has changed dramatically over the last ten years. It used to be normal for all orthodontic patients to have four teeth extracted. Teeth, on occasions, still have to be extracted but this is now a rare event rather than the norm. Emphasis is also placed on facial appearance as well as on straightening teeth. At our dental practice we are proud to be able to provide a variety of the latest orthodontic techniques and systems. We are one of the few dental offices in Auckland to offer IP system treatment (Individual Patient Orthodontics) which is an enhanced version of the straight arch wire orthodontic treatment method. 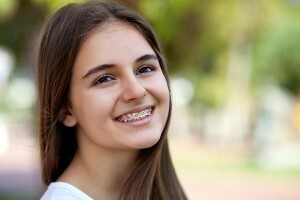 Rather than using the standard ‘one size fits all’ bracket and arch wire system that can be seen in conventional braces, we prefer to use customized wires and braces that are designed to match an individual patient’s anatomy and needs. With IP orthodontics, we can ensure a faster, more effective and more convenient treatment plan for the patient. Nova Dental is the premier dental office that offers High-Quality Orthodontics treatment Auckland for the most affordable rates. We are renowned for our wide range of orthodontic treatments offered with the state of the art orthodontic systems and techniques. We also offer Invisalign (clear braces) treatment for patients who want to correct the positioning of their teeth without using standard wire braces. The Invisalign treatment uses invisible aligners that are custom made to suit individual patient needs and constraints. The aligners are removable and need to be replaced every two weeks for new ones. The teeth will slowly realign with each week until they straighten to reach the final position as prescribed by your dentist. We are also one of the very few dental offices in Auckland which offer Cfast orthodontics treatment. This treatment plan takes a period of 6 months for teeth alignment and utilizes translucent orthodontic brackets as well as nickel titanium wires (tooth colored) for the process. While similar to the clear aligner treatment plan, this treatment is comparatively predictable with quicker results. At Nova Dental, we want to ease our patients into the process of undergoing an orthodontic treatment. As such, we aim to make the entire process as hassle-free as possible via in detail consultations with the patient wherein an in-depth analysis of the problem is discussed along with the treatment plan and the likely costs involving the same. Our team of experienced and caring dentists will ensure all your queries are answered before the treatment. 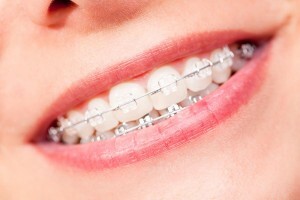 In order to help parents, we offer free orthodontic consultation. We will explain the problem, what could be done to fix it and the likely cost and payment plan. It also gives you a chance to evaluate our practice and to ask any questions.